If there is anything that determines your reality more than anything else, it’s your expectations. You simply cannot achieve what you don’t believe you can. 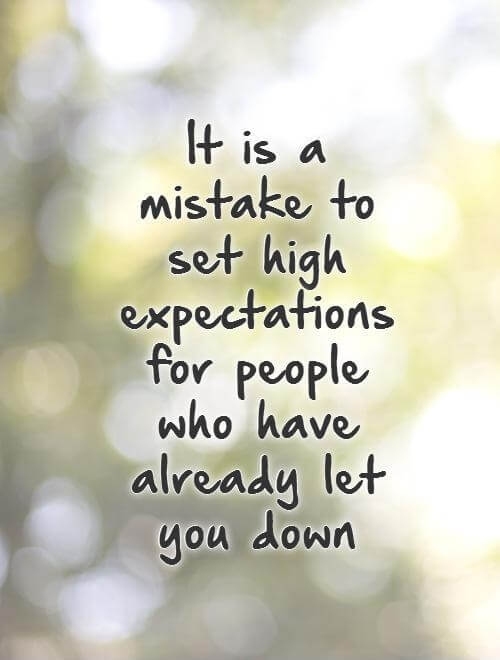 On the other hand, our expectations of others are usually the cause of a lot of misery. Here’s a collection of memorable quotes on expectations to help you better manage it. 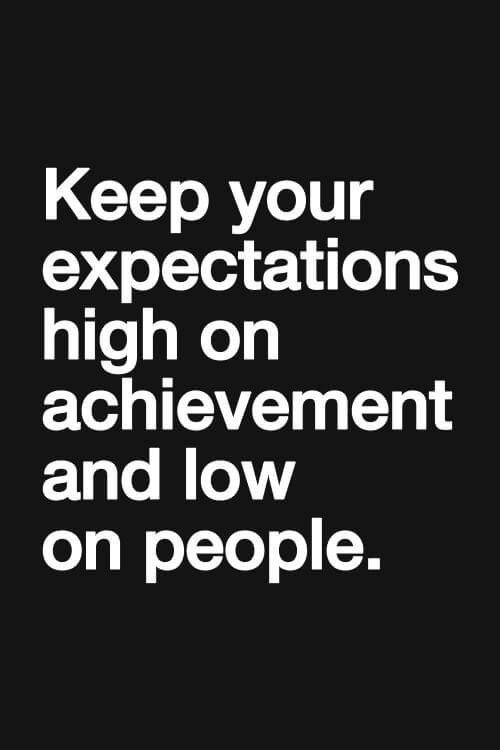 You expectations should be geared towards achieving your goals and not on people. 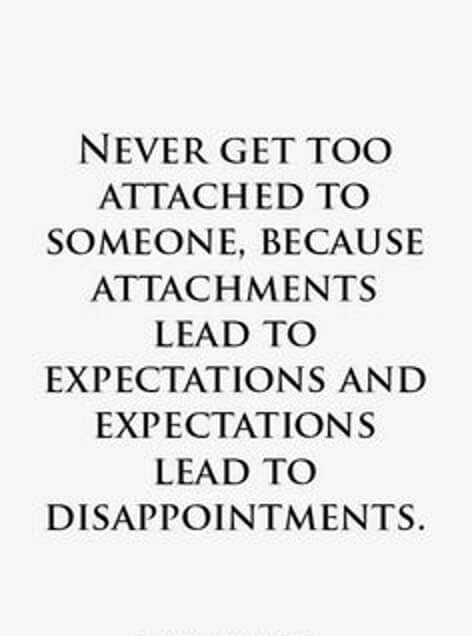 When you get too attached, you're likely to get disappointed. 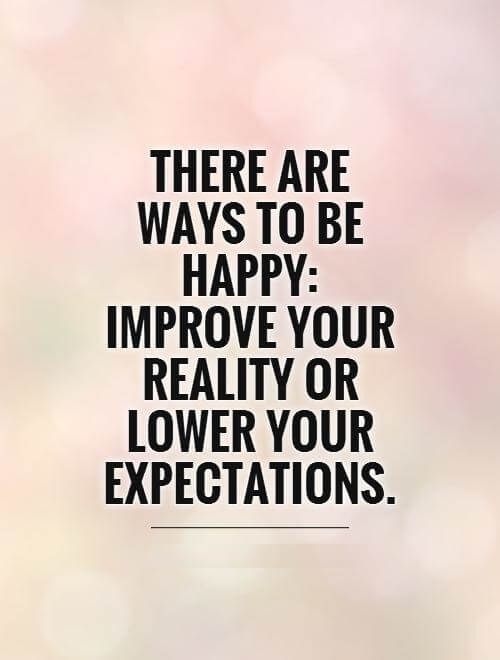 You can be happy by lowering your expectations of the outcome. 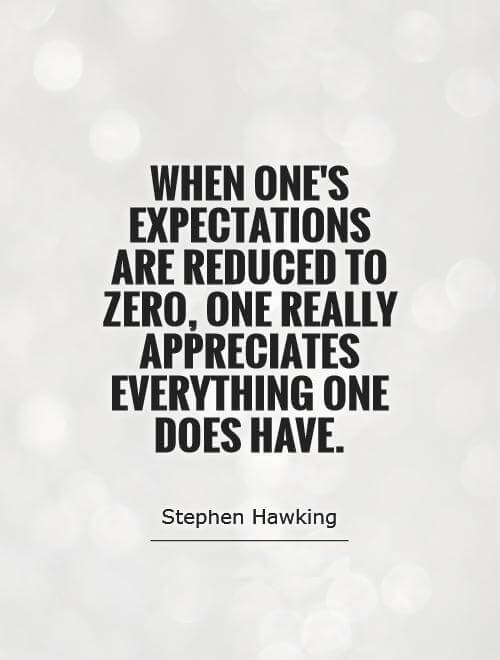 It's easier to appreciate everything when you have no expectations. Do not have expectations for things that are out of your control. Expectations are often hinged on our own misconceptions about what others would be willing to do for us. You should ask more of yourself than from others. 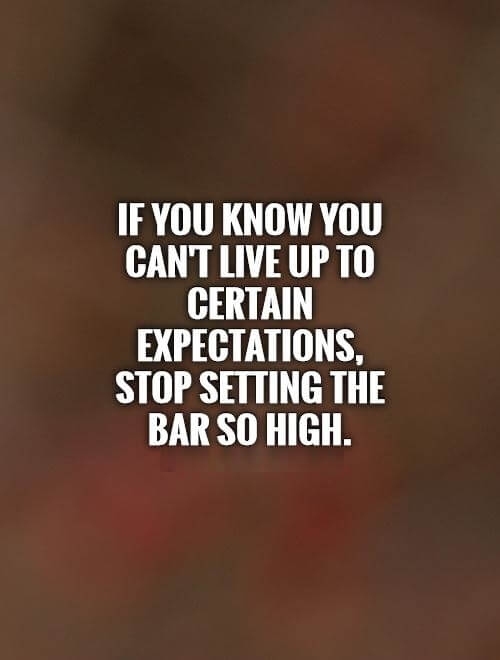 You cannot achieve much if you have low expectations. Don't let negative expectations deter you from achieving great things. People do not change much. If someone has disappointed you once, they will do so again. Set realistic goals to avoid disappointment. You can never achieve beyond what you have set your mind upon. 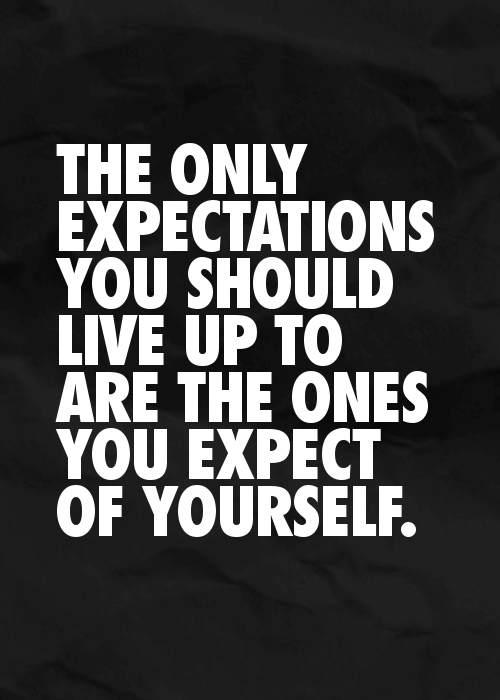 You don't have to live up to people's expectations of you. 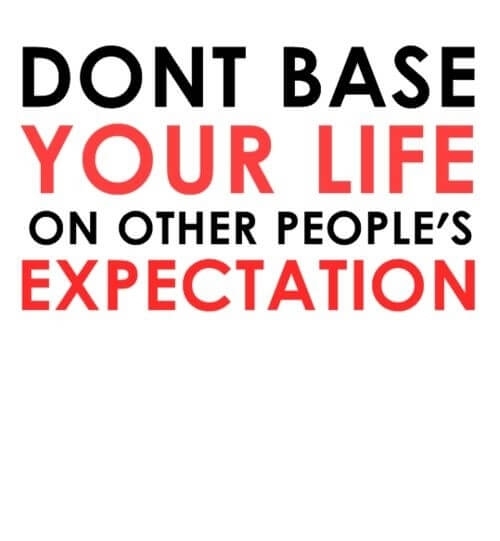 You're not here to live up to anyone's expectations and you shouldn't expect anyone to live up to yours. 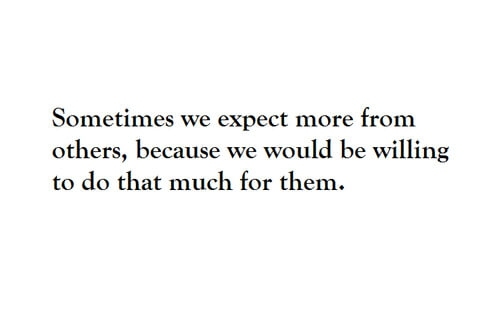 It's easier to appreciate people when you expect nothing from them. To achieve great things, you have to believe in the outcome. The past is overrated. Look to the future with great expectation. 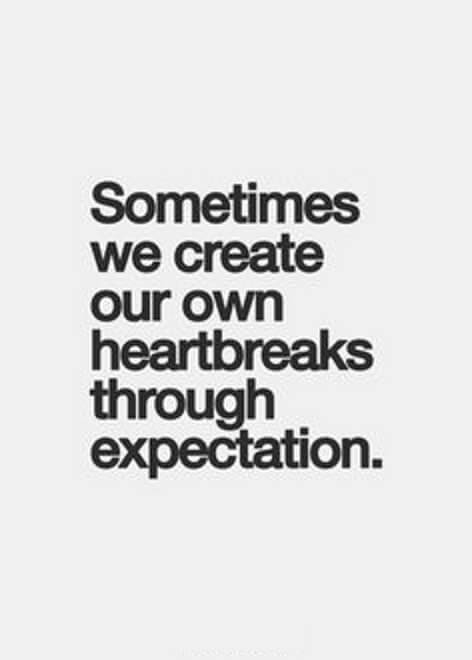 Don't compromise on your expectations, even when you get disappointed. Don't make decisions based on what other people expect from you. 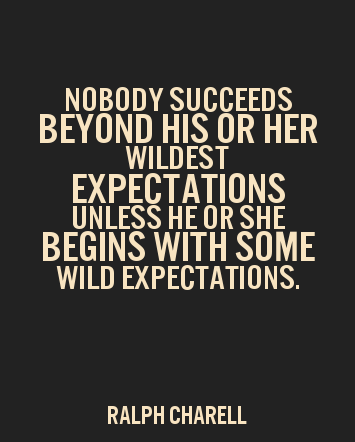 One of the most profound quotes on expectations. The world mirrors your expectations. The world is unfair. Deal with it. You can only thrive when you expect to succeed. Release your expectations and you'll enjoy life more.